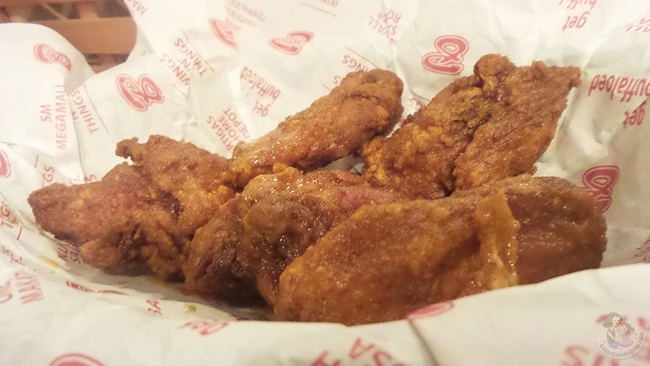 Have I told you that I am a nutter for chicken wings? Well, I am! But believe it or not but I haven’t tried much of the “wings” restos that has been popping here and there within the metro since last year. 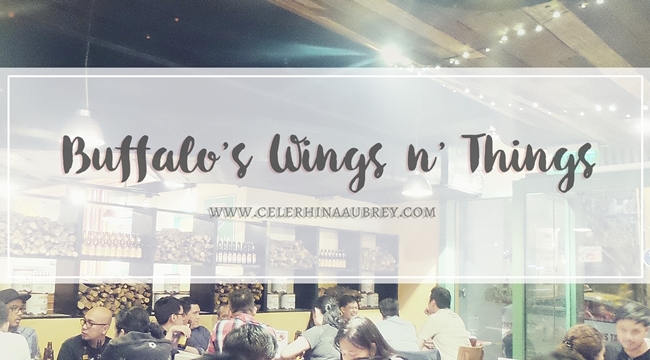 But some of my office friends dragged me one crazy night before going home to this little nook called Buffalo’s Wings n’ Things at Dela Rosa. 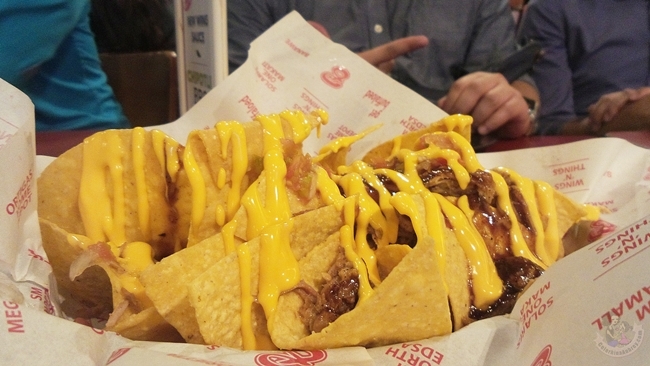 So here’s what I got, nachos and chicken wings! Yum. I totally forgot the flavors I got (I am sure I got one in garlic) but they have a lot to choose from. You could also define the spiciness level of your wings so yay for families like us – me likes less spicy while hubby wants super spicy. My friends kept coming back on this place and I could totally understand why. They have really yummy buffalo wing and relatively affordable too. I can’t wait to drag the ReigningTatay here. That man loves fried chicken. So he’ll be thrilled.